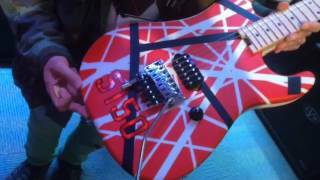 The magic number 5150 has always been present through the Van Halen band history. 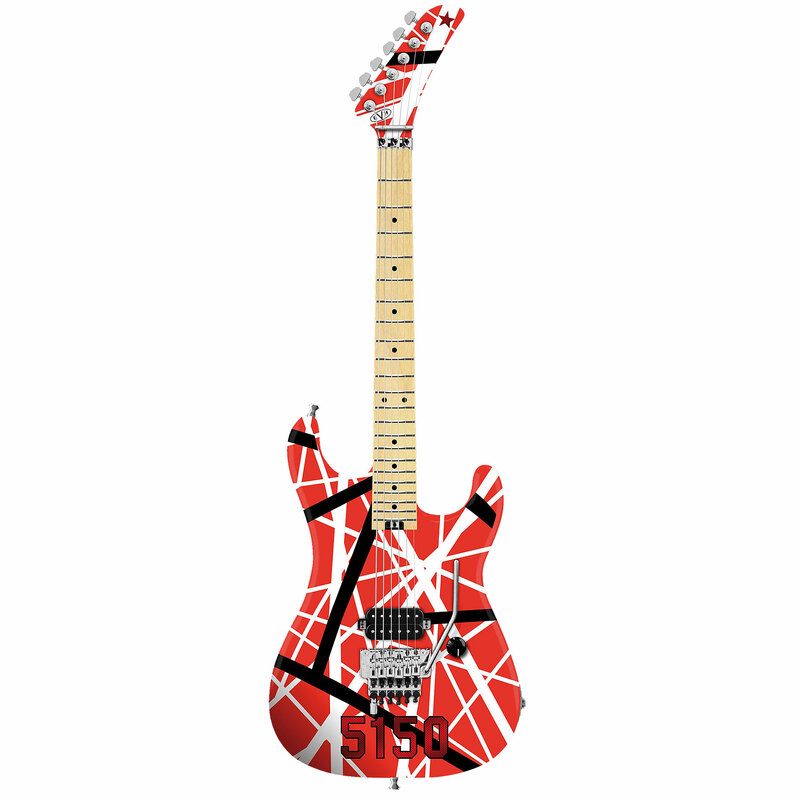 5150 stands for the studio of the same name by Eddie van Halen, the legendary 86 no. 1 hit album "5150" and finally also for a real guitar style Icon: the 5150 guitar. This completely rocked Kramer guitar was Eddie's favourite workhorse for many years. EVH has dedicated itself to this classic with a replica of the Striped Series 5150 R/B/W. Everything is as you know it from the original: Modern ST style body, one-piece, quartersawn maple neck with compound radius Fretboard, "Banana" head plate, floating Floyd Rose tremolo with D-Tuna for quick drop D tuning and a special EVH Wolfgang Alnico II humbucker, set directly into the wood.